Get out of town with these interesting Launceston side-trips: Beaconsfield Mine & Heritage Centre (in Beaconsfield), Trowunna Wildlife Sanctuary (in Mole Creek) and Beauty Point (Platypus House & Seahorse World). 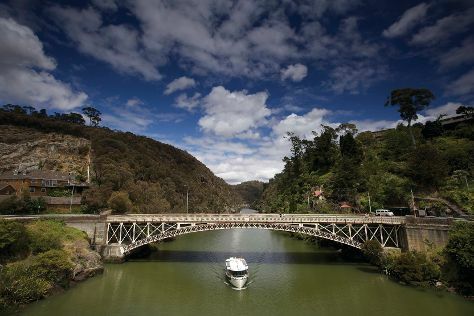 And it doesn't end there: identify plant and animal life at Cataract Gorge Reserve, stroll around City Park, admire the masterpieces at Queen Victoria Museum & Art Gallery, and admire the verdant scenery at The Tamar Valley. To find ratings, traveler tips, other places to visit, and more tourist information, refer to the Launceston online journey builder . In April, plan for daily highs up to 20°C, and evening lows to 7°C. Cap off your sightseeing on the 23rd (Tue) early enough to travel back home.